Remember Tessa from my "I love my crafty friends!" blog! She is such a talented blogger and wayyyyyy "funnier" than me! So, I asked her to write a little guest blog from our sporty Perfectly Perrywinkle photoshoot a couple of weeks ago! If you haven't already become a follower of her super fun and witty blog, Titleless Tess, make sure you check it out! I can always count on lots of "stomach hurting" laughs and big smiles everytime I'm graced with her presence! haha! So, you already know that I love Perry of Perfectly Perrywinkle. 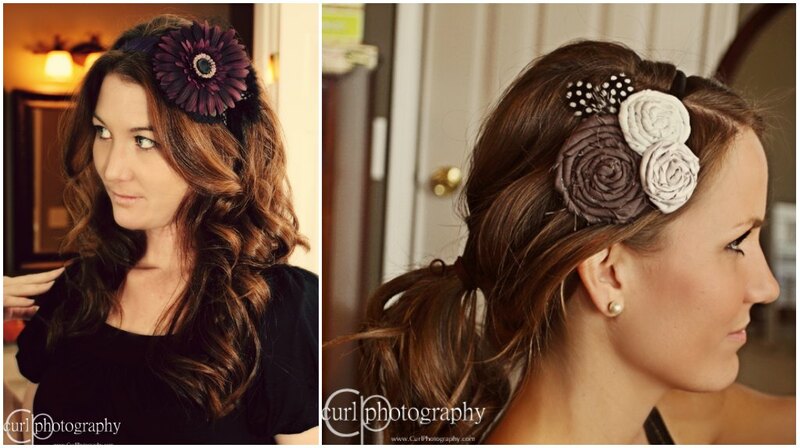 But, I also love her blossoming little headband business, and I know you will too. A few weeks ago, Michelle Curl of Curl Photography hosted a photo shoot in Perry’s quaint and quiet Ballantyne neighborhood. Chris Brady Wolfe, my favorite red head, LPGA golfer, former cast member of the Golf Channel’s Big Break, and new mommy, joined us for the adventure. Chris wearing "Plum Vineyard" and Perry wearing "In a pickle"
Perry, also a professional golfer, has recently been working on custom nursery art (I’m currently contemplating having a baby just so I can order one!) 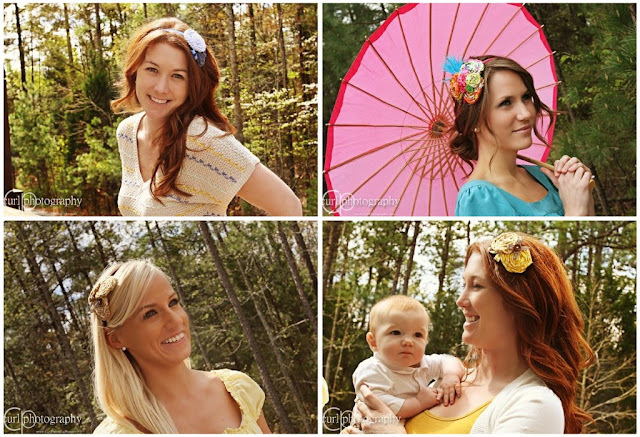 and Easter headbands that were specially made to match little girls’ Sunday bests. 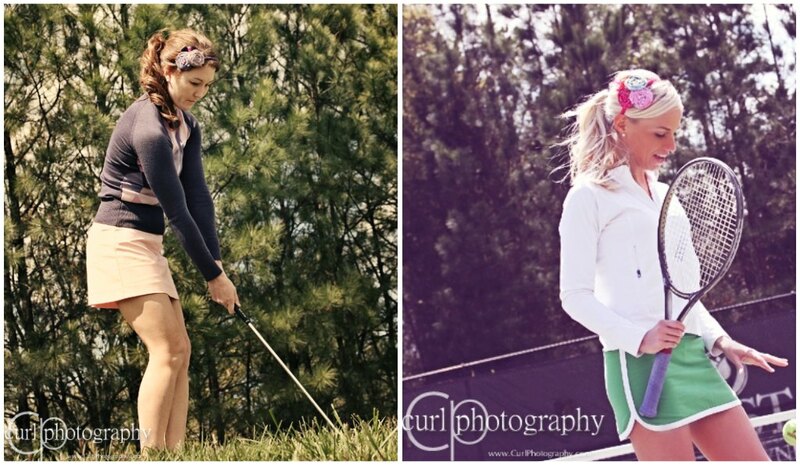 Oh, and by the way, Perfectly Perrywinkle has also been featured in the 2011 special edition of Golfweek For Her. Just saying. I kind of think she’s a big deal. 1) Click on the “Perfectly Perrywinkle Facebook” link. 2) “Like” Perfectly Perrywinkle on Facebook and leave her a comment with “Golfweek Giveaway” and the name of your favorite headband from her Etsy shop. *All entries must be submitted by midnight on Thursday, May 5th. The randomly selected winner will be revealed both here and at Perfectly Perrywinkle on Friday, May 6th. Perry will contact the winner via Facebook to get the ball rolling on your customized headband! All other participants will receive a one-time use "buy one, get one free" on the Perfectly Perrywinkle Etsy Store to be used on any headband of their choice. 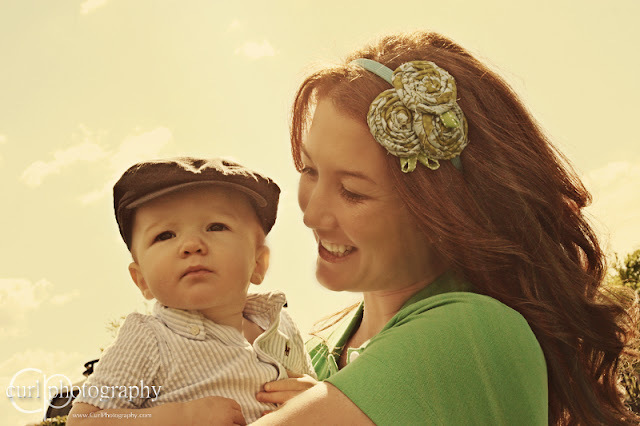 The additional "free" headband will be any of the headbands listed at $22.00. Offer expires one month from the date of contest end, June 5th at midnight EST. Became a Titleless Tess follower! 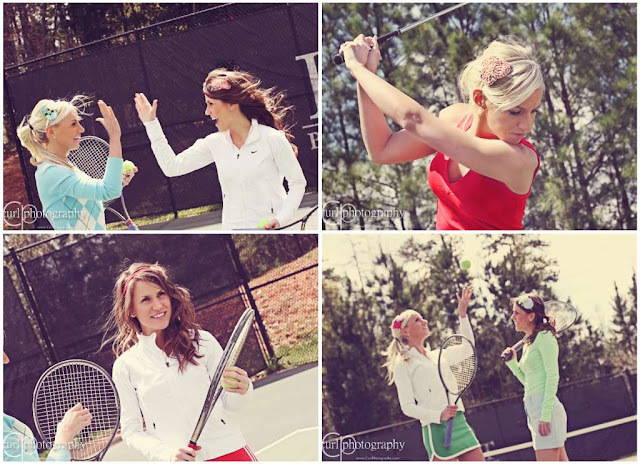 Perfectly Perrywinkle hits the tennis court! Spring 2011 Photos Coming soon!